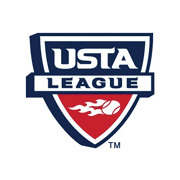 USTA League Tennis offers men and women age 18 and older competitive team match play in the world's largest recreational tennis league. Participants play on all men's or all women's teams. To ensure that opponents are evenly matched, players compete only against others in the same National Tennis Rating Program (NTRP) category. USTA League Tennis features local, area and sectional championships that culminate in a national championship. Team sign-ups are typically held in the early Fall and Spring. Team rosters are submitted through the league coordinators listed above.